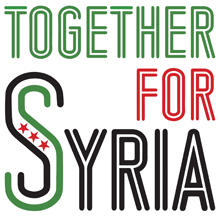 Syria Solidarity UK: Foreign Affairs Committee Report on Syria: Childish and Delusional! 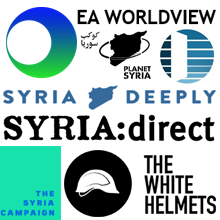 Foreign Affairs Committee Report on Syria: Childish and Delusional! The report, published approximately four weeks after the official cessation of hostilities in Syria, lays down its strategy for combating Daesh in Syria. However, instead of recognising the counterproductive role that Assad has played in the creation and expansion of Daesh, the report suggests that Assad can, or should, be an ally in the war on terror. “We are really surprised with the Foreign Affairs Committee’s suggestion that cooperating with Assad will help in defeating Daesh. Quite the contrary, promoting such a suggestion is the biggest help for Daesh: Daesh will use it to make the argument that the West is working with a regime that has killed hundreds of thousands of Muslims and destroyed a key Muslim country in the region, and will use this argument as a recruitment tool. mistaken assumption that Assad has played a constructive role in the fight against Daesh, which he has not. To the contrary, getting rid of Daesh is not for the benefit of the Assad regime which is using the threat of Daesh to ask the world to empower it again. “Additionally, the report’s suggestion that the FSA freedom fighters can cooperate with the criminal Assad regime is utterly ridiculous. Has the FAC forgotten that the FSA was established by those who defected from the Syrian Army because of its brutality against the Syrian people? Does the FAC really believe that the Syrian people will cooperate with a regime which has killed their loved ones and made them refugees, a regime which is responsible for war crimes and crimes against humanity against its own people? While the Syrian people do consider Daesh as a threat for Syria, they also importantly consider the Syrian regime as the biggest threat.